My Dream Canvas: A Feature! 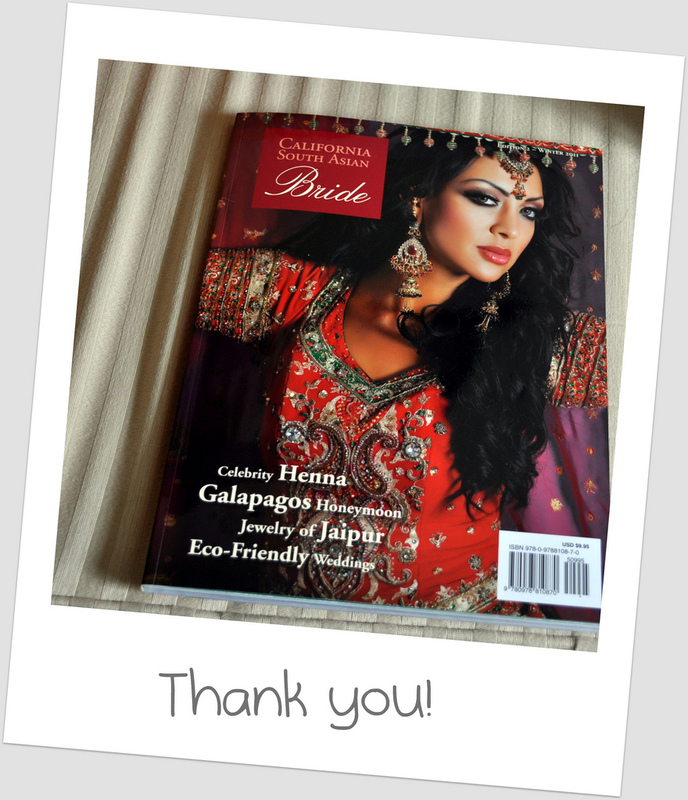 I have just received my copy of the California South Asian Bride Magazine. The magazine is a Publication of Big Think Media, Inc. based out of California. As the title suggests, the magazine is a treasure house of ideas on how to plan your perfect wedding. They also feature stories about real Brides and Brides to be! Now for the exciting part!! 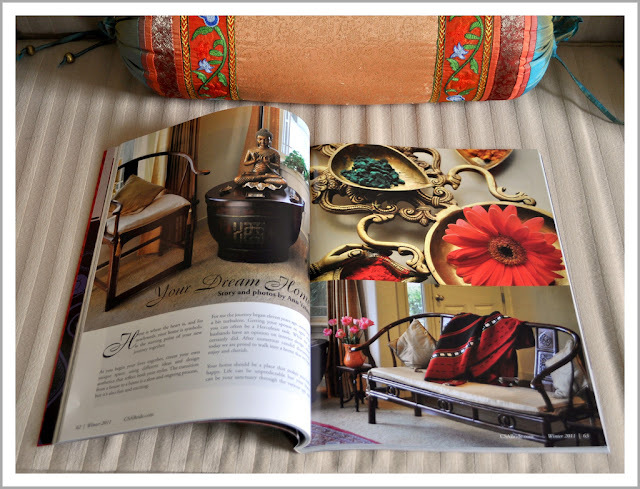 There is a 5 page story by yours truly on how to create your ideal home! Yay! Home is where the heart is, and for newly-weds the home is even more symbolic as it is the starting point of your journey together. When two people come together, you need to create a space that works for both of you. Different ideas and design aesthetics come together to create that unique space that is all about the new "you". The transition from a house to a home is a slow and ongoing process, but it is also fun and exciting. For me the journey began eleven years ago sometimes with turbulent beginnings. Getting your spouse to agree with you can sometimes be a Herculean task :-) While not all husbands have an opinion on interior design, mine certainly did. After numerous candid discussions, today we are proud to walk into a home that we both enjoy and cherish. Your home should also be a place that makes you both happy. Life can be unpredictable but your home can be your constant companion through all of its various phases. Your home evolves and grows with you over the years, and ours certainly did. The main ingredient, however, remains the same. Stay true to yourself, and surround yourself with memories and things you love, and you will enjoy spending time at home. For me personally, I like to be around family heirlooms and things that have a special meaning for me and us as a couple. We all strive for an ideal home, but what does that really mean? It may sound strange but I believe that your home is like a journey. It represents who you are and what you have become over the years. A friend that knows your deepest secrets, a home knows all that's good and all that's bad :-) Spend time in your home, create a space that will nurture your relationship as you begin your new life together…….. and soon it will become your haven. Tip # 1 Think of your home as a canvas. Give your home the importance it deserves by spending time to decorate your home. An inexpensive souvenir from a trip can be as meaningful as an expensive decor accessory. It can be a constant reminder of a beautiful time gone by. In my home silver heirlooms sit alongside seashells from a memorable trip to the beach. Tip #2: Blend Different Styles and Colors. As newlyweds try to bring in something that reflects both your personalities. It should be something that you can both love and enjoy having in your home. Just like your new relationship, experiment with things that showcase your unique design sense. Tip # 3: A House becomes a home if you both cherish it. Flowers are a simple and extremely effective design accessory. Don't wait for those special occasions. 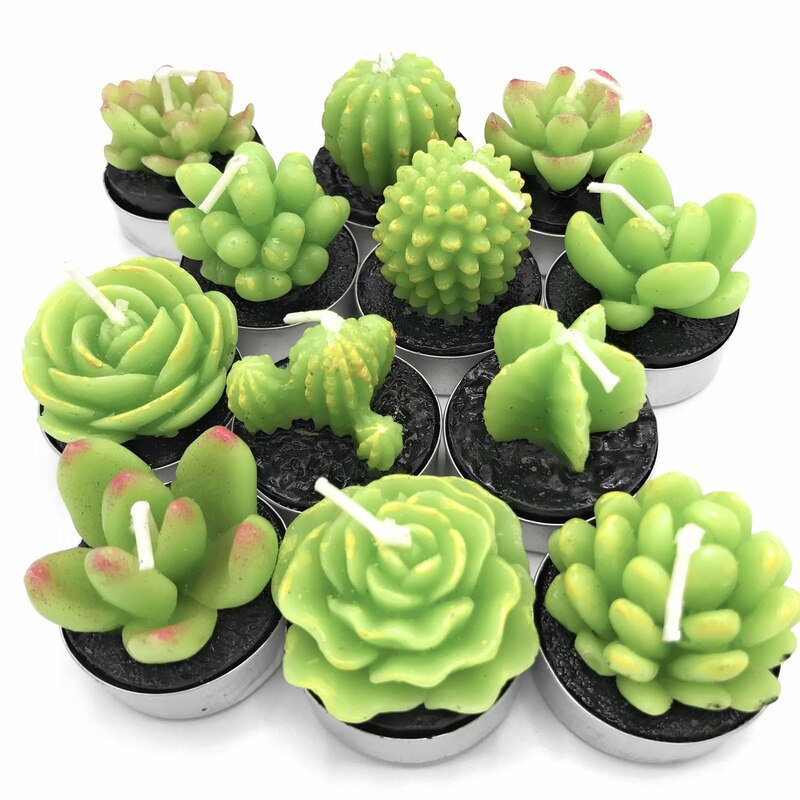 Just bring some stems home every few days to brighten your living space. A big thank you to the editor Arushi Sinha for inviting me to be a part of the magazine. For details on how to buy the magazine click here. *** CONGRATULATIONS *** ANU !!! Beautiful feature !! And that pillow case in background of second picture is really beautiful.